This book focuses on ambient intelligence and addresses various issues related to data management, networking and HCI in this context. Taking a holistic view, it covers various levels of abstraction, ranging from fundamental to advanced concepts and brings together the contributions of various specialists in the field. 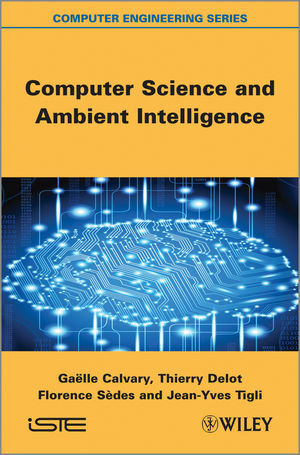 Moreover, the book covers the key areas of computer science concerned with the emergence of ambient intelligence (e.g. interaction, middleware, networks, information systems, etc.). It even goes slightly beyond the borders of computer science with contributions related to smart materials and ethics. The authors cover a broad spectrum, with some chapters dedicated to the presentation of basic concepts and others focusing on emerging applications in various fields such as health, transport and tourism. Gaelle Calvary is Professor in Computer Science at the Ensimag software engineering school of the Grenoble Institute of Technology, Grenoble, France. Thierry Delot is Associate professor, University of Valenciennes, France. Florence Sèdes is Professor, Université Paul Sabatier, Toulouse, France. Jean-Yves Tigli is Associate professor, University of Nice Sophia Antipolis - France.